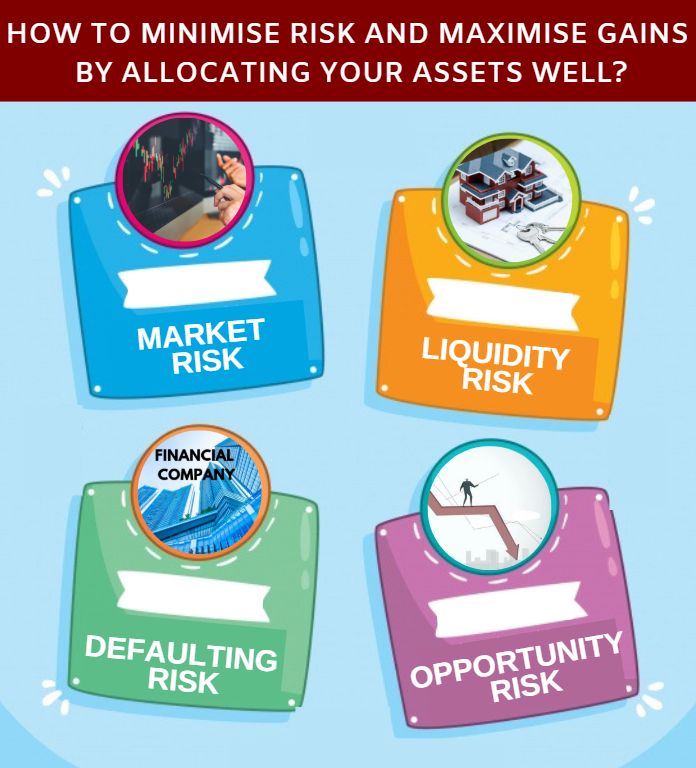 How to Minimise Risk and Maximise Gains by allocating your assets well? Saving enough and having a comfortable life in the future is what everyone dreams about. But ‘how’ and ‘how much’ are the inert questions anybody would have in mind. Am I saving enough for the future? Will it take care of my future with the increasing prices and inflation rates? How can investment decisions be wise? Is it by investing in high yielding assets or in assets which have lower risks or a combination of these two? What if you invested in high yielding asset class? Then, its major drawback is its high risk associated with it. On the other hand, if the investment is done in the lower risk asset class, then, the yield will be low. Now, what can be done? The answer shall be Asset Allocation. 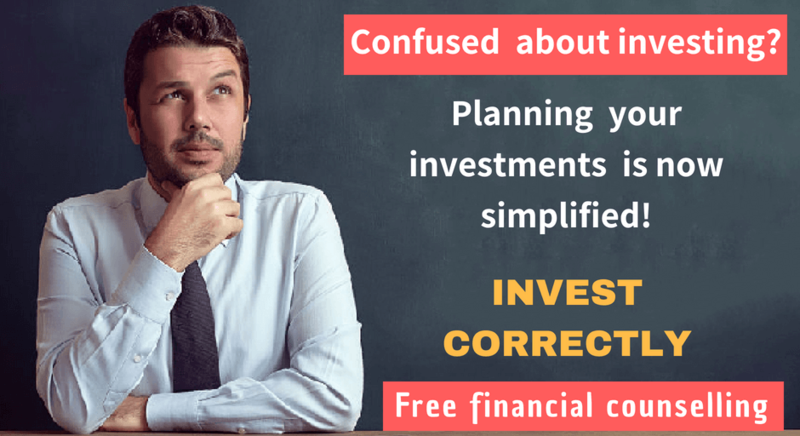 Understanding the term better helps in taking wiser investment decisions. Read Ahead. Asset allocation, in simple terms, is how one's investment are divided among different asset classes, such as cash, stocks, bonds, real estate, and so on.Remember, allocating all your assets in a single product may lead to disaster. As said by Warren Buffet ‘Never ever put all the eggs in a single basket’. You will loose all of them if the basket falls down’. The important aspects of asset allocation are to diversify the asset classes, reduce risks (risk management) and better yield. How is diversified asset allocation done? 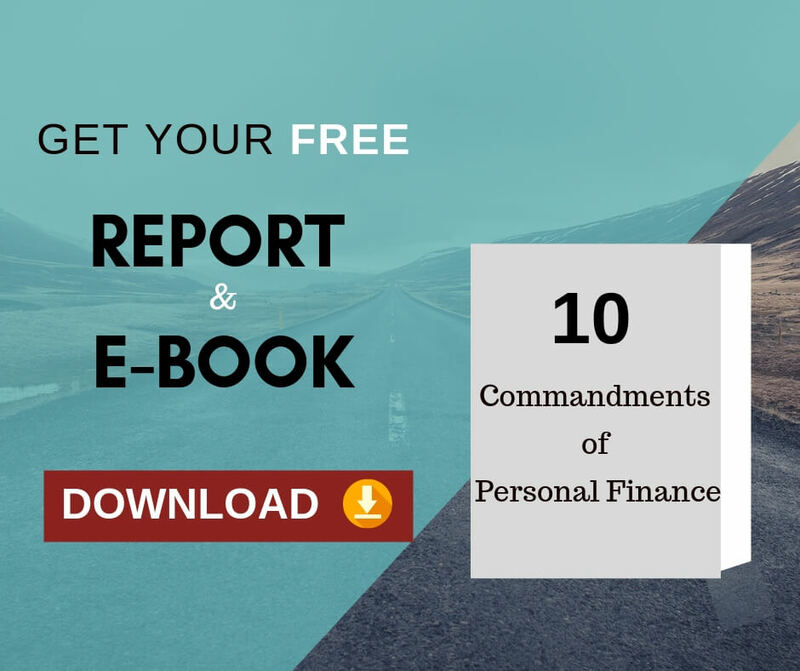 A critical analysis of the expenses of the investor is very important, so that the savings derived may be significantly accurate.Then, while managing to invest your savings, a variety of investment models should be chosen. This variety can be based on the investor’s tolerance to risk, and the purpose of investment like retirement, expected return etc. The variety of asset classes can be the combination of cash, equity,mutual funds,real estate, bonds, gold, and many more. Every asset class has its merits and demerits based on the market performance, liquidity, yield and many more. What exactly happens when one invests in a single asset class? You lock your money in a particular type of asset class where you are not in a position to use it in case of emergencies. For example, if your assets are invested only in real estate, it will be tough to sell even a small portion in a hurry and get cash quickly when you are in great need for cash. Also, when the real estate rates goes low as in during the recent recession in mid 2000s, your entire asset also loses the value. Risk management helps in decreasing the risk of loss while investing in a single product/instrument. For example, when the money is invested only in equities, and suppose the market goes down badly, then the investor will incur heavy loss. Similarly, when you invest in gold, when compared to cash, the liquidity is relevantly very low. Even though the long term yield is considerate, liquidity will be very low if the investment is done only in real estate. Risk is mutually related to the investments. When invested in different asset classes, the risk is lowered as your money is diversified. Market risk associated to benefit can well be explained with stocks. When the market is doing very well, the yield will be high; whereas when the market plunges down due to some prevailing conditions in country including inflation, politics and the companies financial and market positions, the stocks will do very badly, pushing the investors to a very bad state. Liquidity risk is related to how liquid the asset is. As explained earlier, real estate is a good example where the liquidity is low. Defaulting risk is the one where the investor has invested with some financial companies and the specific company may not do well and default the investor. Opportunity risk is the risk of losing the benefit when invested in another asset class instead of the one which would yield him better. Risk aversion is possible when you diversify the asset allocation. Even when one products loses its value due to any of the above mentioned risks, you can still earn through other assets. While making investment planning, considering yielding benefits throughout the period is very important. Investing in different types of asset classes yields a compounded benefit wherein the fruit of benefit, which is profitable investment with lower risk, is enjoyed wholly. Investment in different asset classes will be a clever and prudent decision to reap more benefits in the prevailing market scenario. Based on the investor’s need, liquidity, risk tolerance and yield expectation, the investments can be made proportionately in different asset classes. By doing so, you can balance safety, liquidity and returns. Oh my goodness! Incredible article! Thank you. Previous Previous post: What you need to know about Mutual Fund NAV? Next Next post: What you may not know about Timing the Market?